Build a consistent, powerful swing. 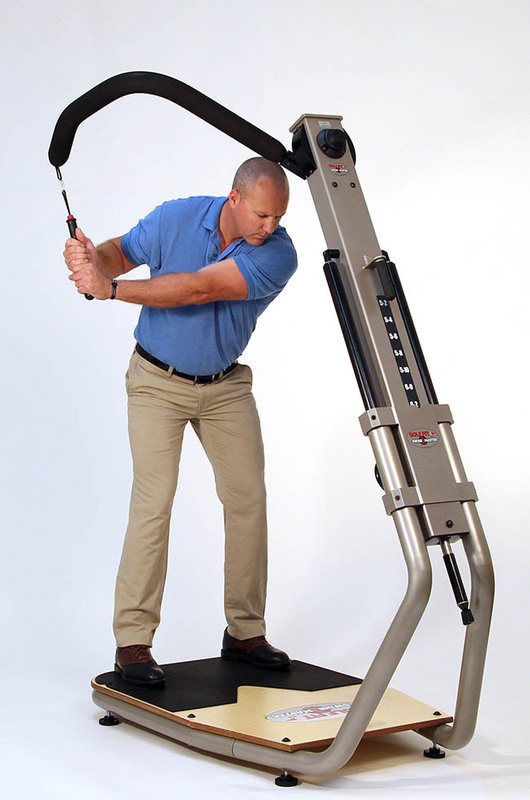 The Power Max Fitness Golf Fit Swing Master™ provides a mechanically guided path and an adjustable resistance to help you tone, strengthen and rehabilitate the muscles and joints used in an athletic swing. Through repetition of the mechanically guided course of motion, the Power Max Fitness Golf Fit Swing Master™ establishes, develops and encourages a proper swing on the correct swing-plane which is so critical to accurate, consistent and powerful ball striking.